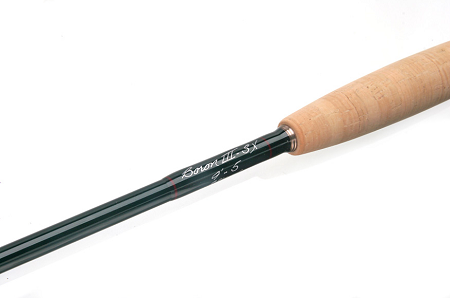 THE WINSTON BORON III SX is the rod of choice for saltwater, big flies, big fish and big wind. No matter if you’re making long casts directly into the wind, throwing big bulky flies or launching a heavy sink-tip, these rods perform flawlessly. These super-fast action fly rods are powerful, lively and capable of generating incredible line speed. Built with advanced Boron III technology, this series is also lightweight and allows an angler to present a fly with incredible accuracy. The Boron III SX is the ideal selection for any saltwater, freshwater or warmwater fishing adventure. With unmatched lifting power and fish-fighting capabilities, this super-fast action series is simply unmatched. Aluminum Trout Landing Net, 15"